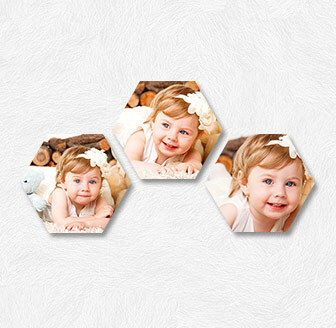 Hexagon-shaped canvas prints are a lovely and innovative way to display your precious memories. 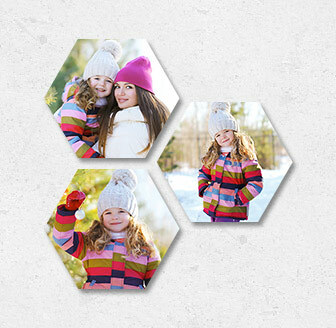 Connect up to ten of our Hexagon photo canvases using collage clips to create a design that is uniquely yours. 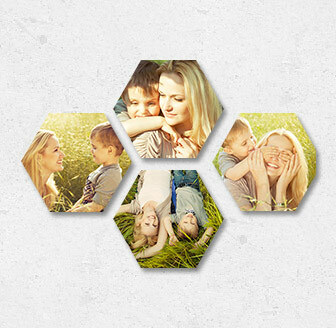 Combine hexagon canvas prints in any shape or hang them alone for a distinct design touch. 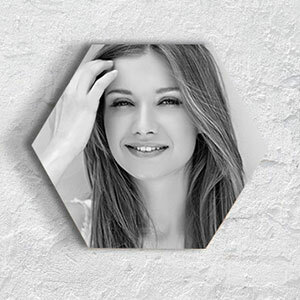 Our hexagon prints are displayed on high-quality canvas using the latest printing technology. 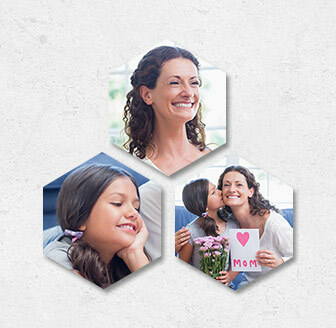 Your personalized hexagon shaped pre-stretched canvas will have the same bright colors and durable fabric you’ve come to expect from CanvasChamp. You can also choose from two different wraps and three different borders. 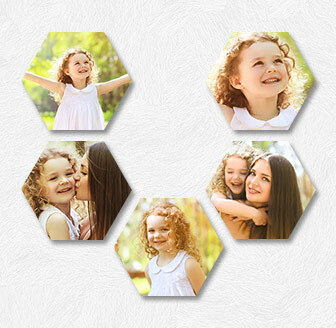 Your friends and neighbors will be impressed with your new Hexagon-shaped canvas prints! 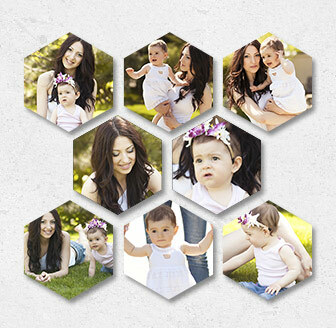 The Perfect Size Hexagon Photo Canvas - For Anywhere! 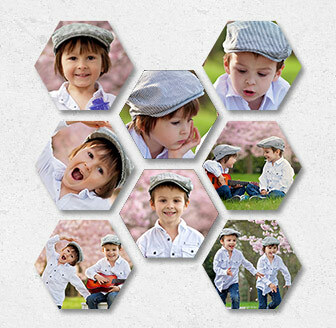 Hexagon canvas prints measure 10” from corner to corner or 8 3/4” from side to side, so you can hang one hexagon shaped canvas in a small area or combine several for a personalized hexagon photo canvas display for larger areas. Hexagon canvas prints are as versatile as they are beautiful! 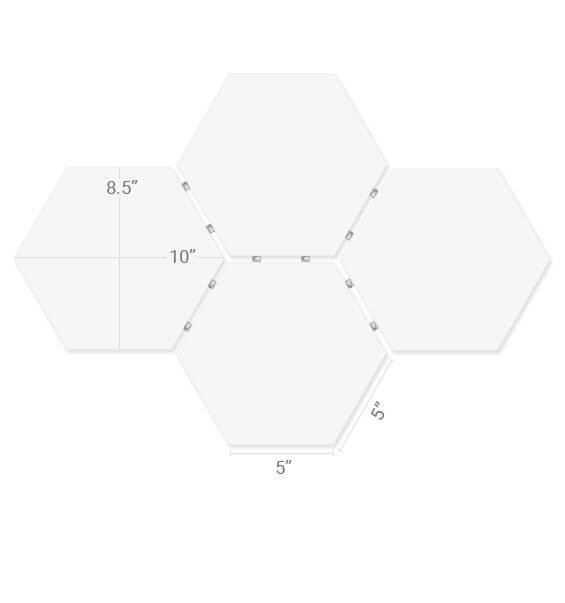 Print several at a time for a Hexagon display or add to your hexagon canvas art slowly. 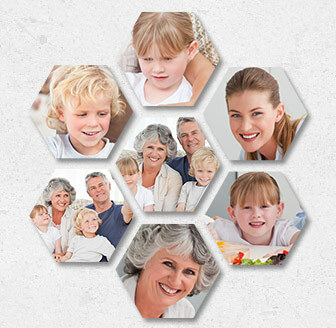 With a variety of combinations, wraps, and borders, your Hexagon canvas print wall display will be truly unique!